The city of Las Vegas recently unveiled the first self-driving shuttle bus in the U.S., but the bus’s first day on the job did not go quite as planned. Within two hours of launch, the bus collided with a pickup truck. No one was hurt in the bus accident, and the shuttle was not found to be at fault. The shuttle came to a stop when it sensed the truck was backing up into the shuttle. However, the pickup truck continued to back up until it collided with the front of the shuttle. Although the other driver caused the accident, some road safety advocates remain unconvinced self-driving technology is safe. But this shuttle isn’t the only self-driving vehicle that has been involved in motor vehicle collisions. The transportation technology company Uber had to stop self-driving car tests this past March after a collision in Arizona. Last year, one of Google’s self-driving vehicles collided with a bus. In response to the accident, Google filed a patent to soften vehicles to reduce accident injuries. Technology company Tesla Motors has also struggled with self-driving technology. In 2015, a driver was killed in an accident in Florida while the autopilot feature was engaged. The National Highway Traffic Safety Administration (NHTSA) investigated the accident and determined there was no defect in the car’s design or performance, suggesting this technology is not perfect even when operating correctly. Self-driving technology may one day prevent all accidents on the roadways, but for now, drivers are still responsible for driving safely. Drivers cannot rely solely on sensors like blind spot warnings and lane departure warnings to avoid car accidents. Driving responsibly means always being aware of your surroundings and staying focused. 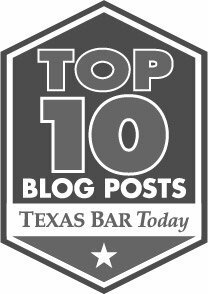 If you or someone you love was injured in a Texas car accident, you likely have many questions. At Blizzard Law PLLC, our experienced car accident attorneys would be happy to answer all of your questions and help you pursue complete compensation for your injuries. Call us today to schedule a free consultation. Next Post Electronic Logging Devices Could Make The Roads Safer, So Why Are Truckers Complaining?